The best way to get maximum performance out of your Honda for years to come is to have routine maintenance performed at your Honda dealer. Honda understands that drivers can sometimes find it confusing when trying to understand which services your vehicle needs at any given mileage interval. The Maintenance Minder System was introduced to clear up the confusion. Based on the specific Honda model you drive, your vehicle has unique maintenance needs which can vary based on factors including the engine type, transmission type, or the addition of a towing package. Each of these factors were carefully considered by Honda engineers when developing specific maintenance schedules. Following these guidelines help prevent problems before they happen while making it easy to give your Honda the care and attention that it deserves. When it’s time for your engine oil to be replaced, the Maintenance Minder System will tell you the remaining engine oil life in the information display. This is shown as a percentage, starting with 100% oil life. Gradually over time, this percentage will wind down to 0% as you drive which lets you know the oil life has been depleted. In addition, the system will also display Messages, Main Items, and Sub Items. Listed below are definitions which explain what each means. Oil Life 15% – Service is due soon. Now is a great time to schedule an appointment with Honda East for scheduled maintenance services. Oil Life 5% – Service is due now. As soon as possible, you should take your vehicle to Honda East for scheduled maintenance. Oil Life 0% – Service is past due. You will also see a mileage readout which indicates how far overdue you are for service. To avoid harmful wear or damage, take your vehicle in for service now. A – Indicates engine oil should be replaced. B – Indicates engine oil and filter should be replaced. Inspections of various systems and components should also be done. See your owner’s manual for additional details. 1 – Rotate tires, verify correct tire pressure and condition. 2 – Replace air cleaner element, inspect drive belt, and replace dust and pollen filter. 3 – Replace transmission fluid and transfer fluid (if equipped). 4 – Replace spark plugs, timing belt (if equipped), inspect water pump, and inspect valve clearance. 5 – Replace engine coolant. 6 – Replace rear differential fluid (if equipped). Now that you’ve learned what the Messages, Main Items, and Sub Items mean — here’s an example of how to decode the entire system message. Let’s say the illuminated orange wrench along with the code “A3” appears on your Honda Maintenance Minder display. The letter “A” refers to a Main Item which lets you know that your engine oil needs to be replaced. The number “3” is a Sub Item which indicates that it’s time to replace your transmission fluid and transfer fluid (if equipped). It’s also important to remember that while a Main Item will always display in the message, Sub Items are only periodically displayed since these are based on both a time and mileage interval. There’s also the possibility for the system to display multiple Sub Items (example: A129). Each additional Sub Item simply means another service is indicated. In this example, you would need Sub Items 1, 2, and 9. By using the helpful link provided below, you can look up the exact maintenance schedule for your specific Honda vehicle. Remember that the Maintenance Minder is far from simply an oil change indicator. You’ll receive benefits which both you and your vehicle will appreciate by following the suggested services. Referring to the Maintenance Minder when completing your oil changes helps make sure that your engine continues to provide the performance you’ve come to expect. By taking the guesswork out of oil change intervals, the system eliminates unnecessary waste from changing your oil too frequently. Another bonus, you’ll drive with total peace of mind from the knowledge that you’re helping our environment. 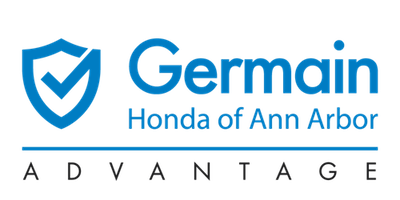 Choosing Germain Honda of Ann Arbor for your vehicle service needs allows you to drive with complete confidence. Our entire staff of factory-trained Honda technicians and service experts will give your vehicle the care and attention it deserves while using Genuine Honda parts. If you still have any questions about the maintenance schedule or requirements of your Honda vehicle, our friendly and knowledgeable Honda Service Advisors are ready to answer them. We’re here to make it simple and convenient to keep your Honda running like the day it was new!